Kreate With Me 2: Ready for Spring? 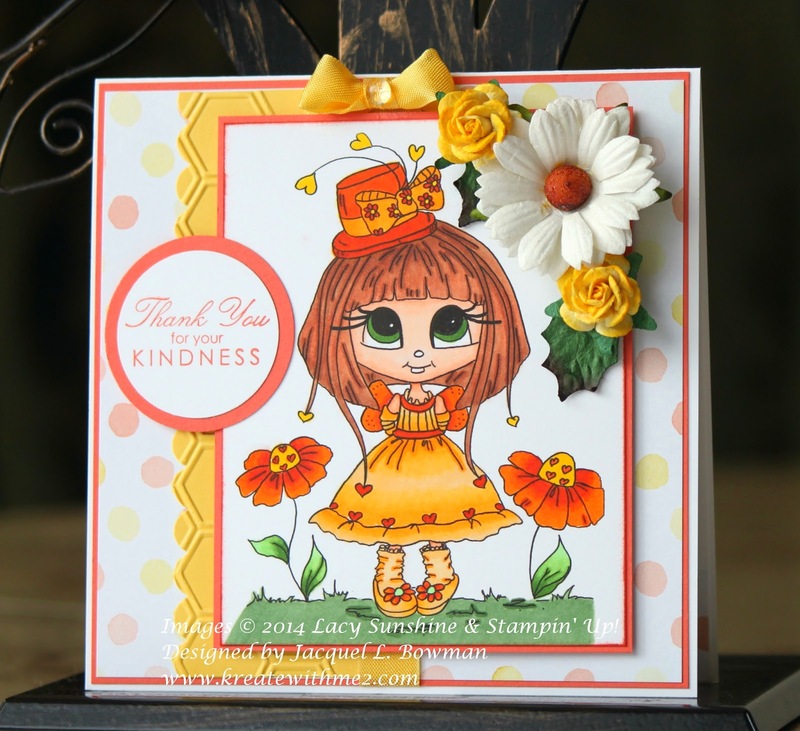 I had a little playtime so I made a card for the latest challenge over @ Lacy Sunshine to use Spring Colors. I can feel the warmth just looking @ this cutie & she was so much FUN to color!!! It hasn't been that long since I first started using copic markers but I feel like I've come a long way since then! My next lessons will be centered on hair-highlights/white space which is such a struggle for me at the moment but I have complete confidence that I will master this skill eventually!!!!! I appreciate everyone that visits me & leaves wonderful comments about my coloring....you guys totally make my days brighter! THANK YOU!!!!!! So pretty and fun! I like those colors and flowers. Polka dot paper is my favorite! What a happy, cheerful card! You are doing great with your copics! Super cute card - love the layout and colours! Thanks for sharing with us at Lacy Sunshine! Love the colours you have chosen and the flowers are gorgeous. Thanks for joining us at Perfectly Rustics. What a cute & pretty card! Love the colours, such a happy card.